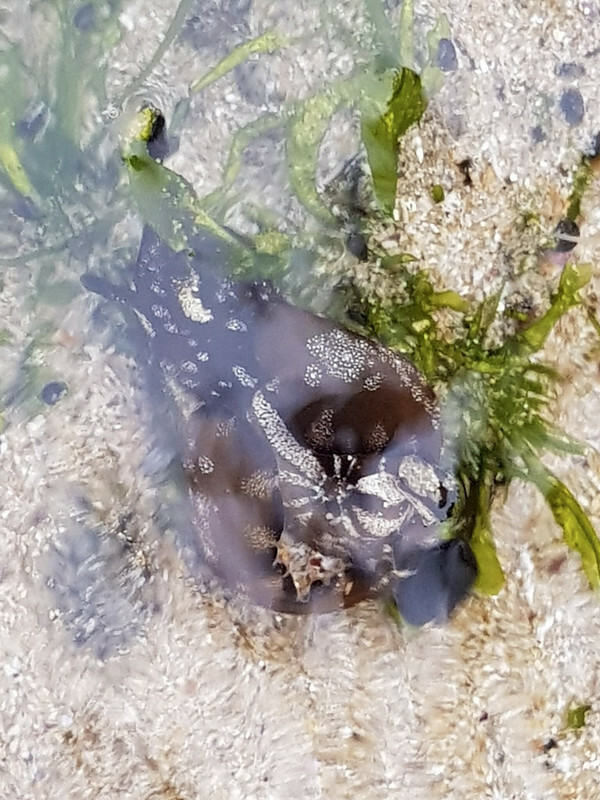 I know I posted about another sea hare recently. In that case, it was obviously something unique. 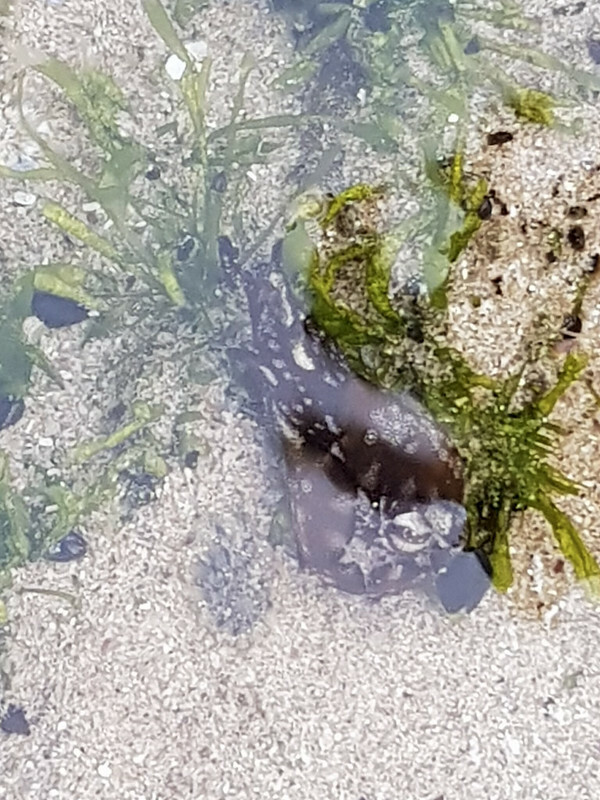 In this case, Seth managed to convince me that it was ‘just an elephant snail’ so I moved on and didn’t get any more photos. I should have listened to my gut. I suspect that this is A. juliana. It can get to this dark port wine colour with few other patterns present. 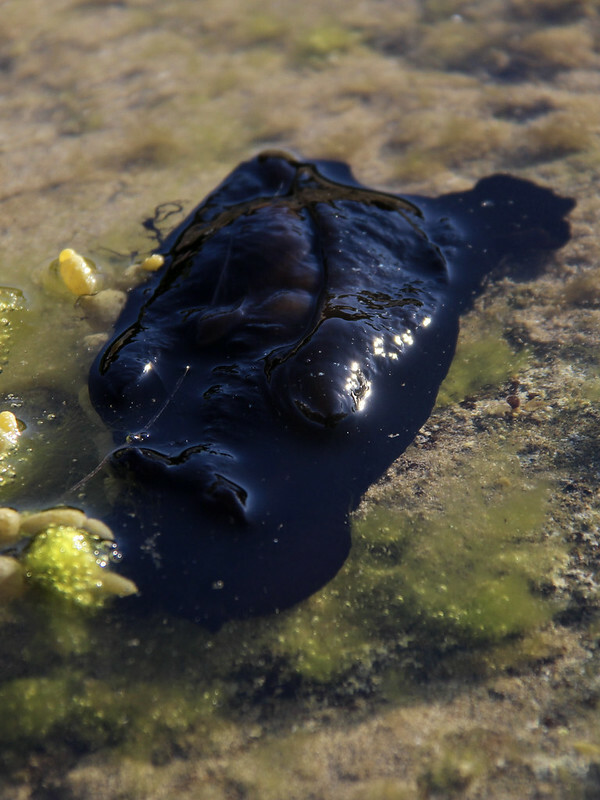 In life it’s most characteristic features are its locomotion which can be like a looping caterpillar nose to tail sort of ‘walk’ and it does not ink like other large Aplysia. 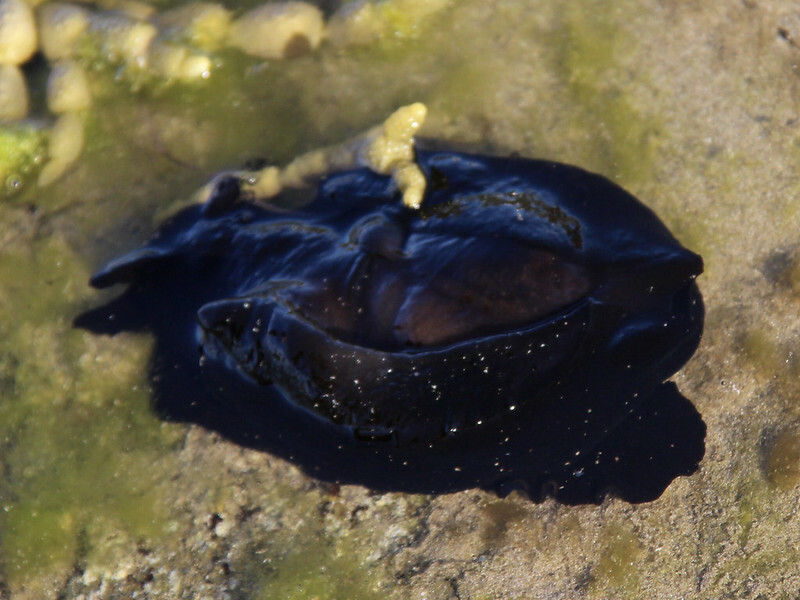 Eastern Australian a juliana get so black that it was also called A nigra by one taxonomist. 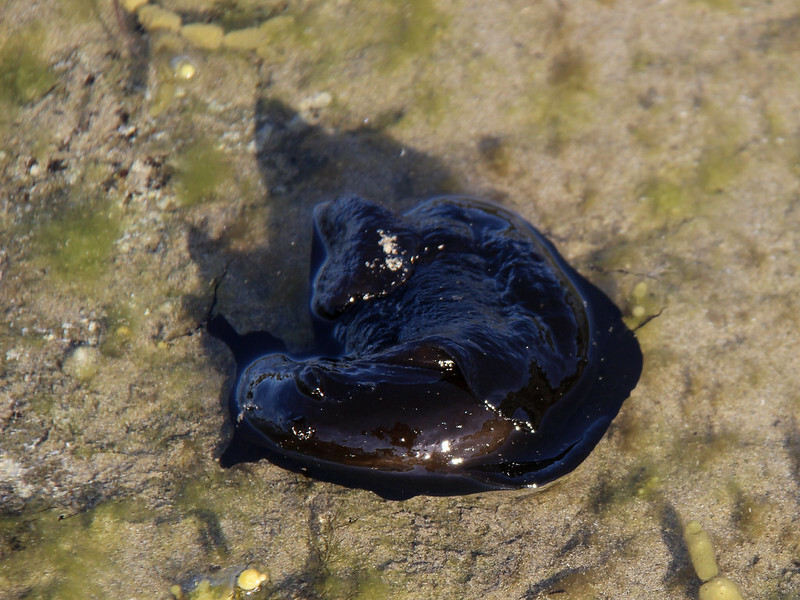 Although the dark mantle border is a characteristic of A parvula it is always a relatively small slug. 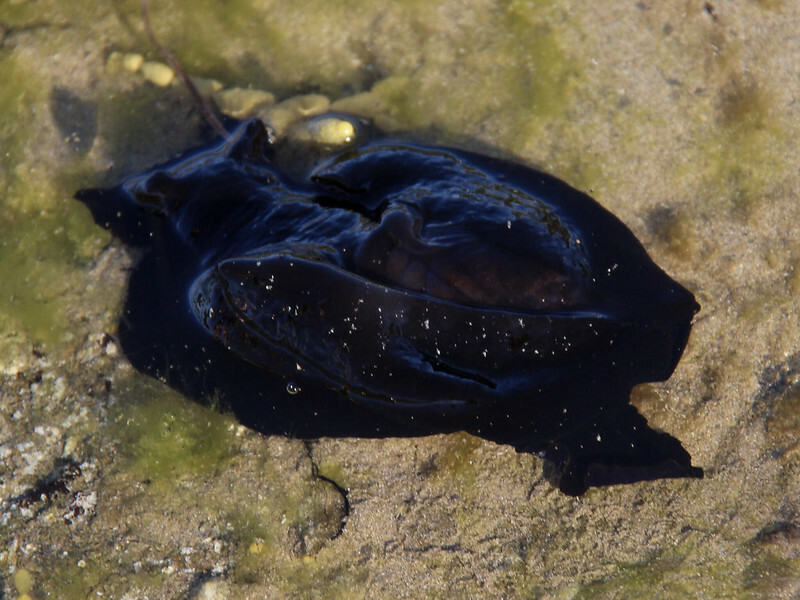 I now really, really want a Gopro camera to aid with identifying sea animals. I’m so broke though – my current resources will have to do. 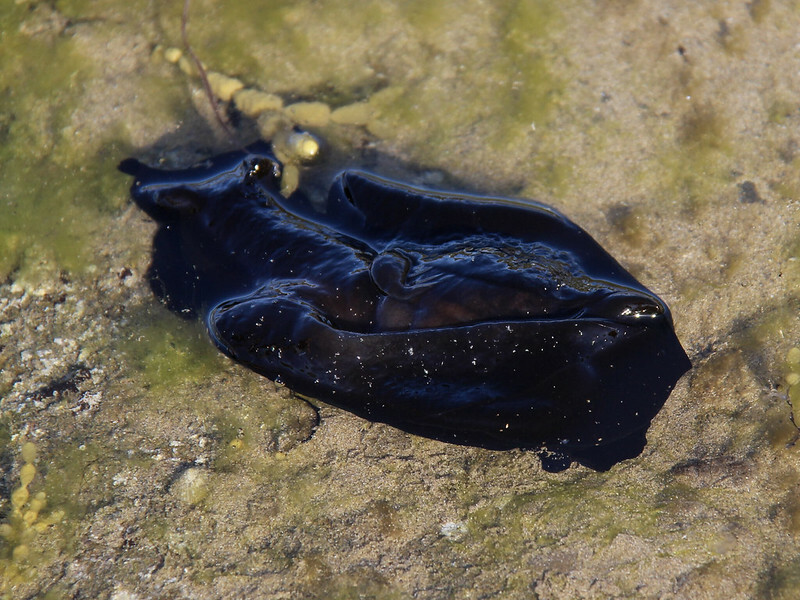 The below species was observed in September, 2017. I know the etiquette is against copying and pasting when it comes to information ID’s. 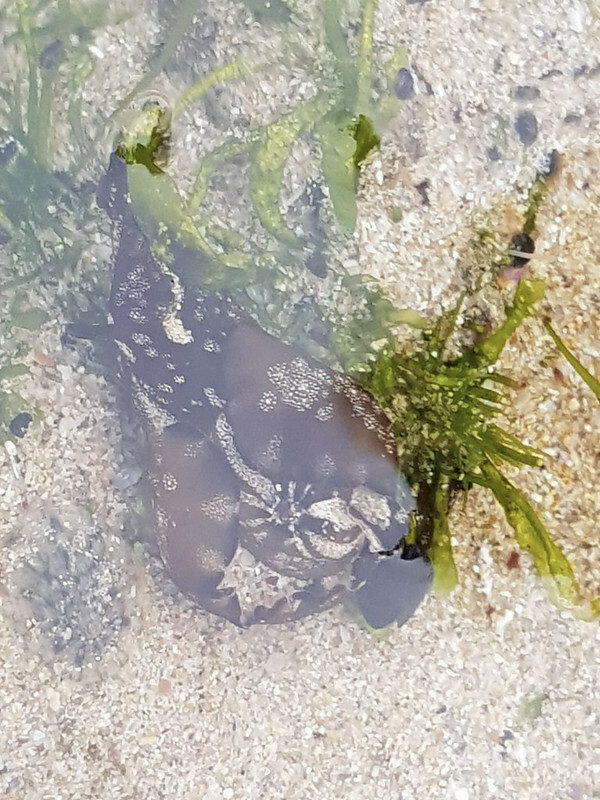 I’m bending the rules in this case as I want to document more creatures around Apollo Bay. 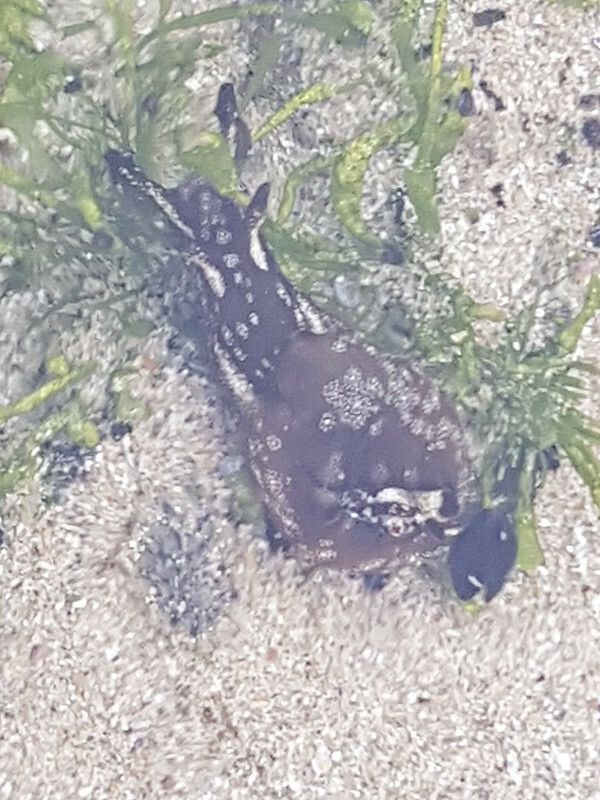 I want to know what to look for and document should there be multiple sea hares with patterning such as this.